Digital marketing and all its complex parts such as content marketing, email marketing and PPC can be incredibly exciting. 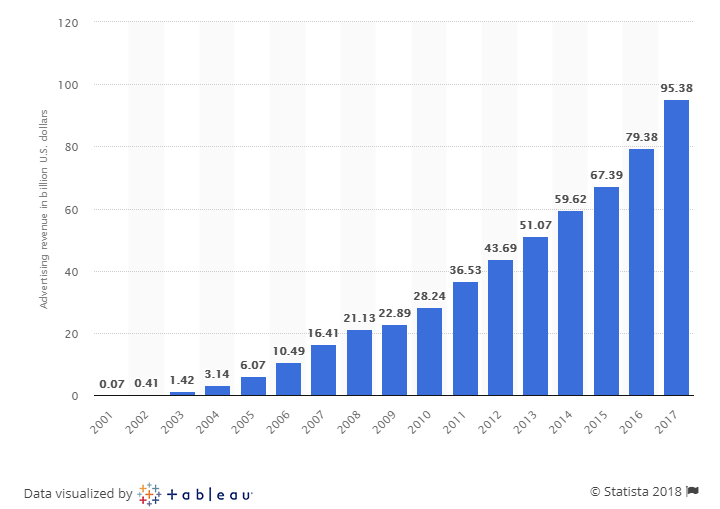 The attraction of reaching wider audiences, targeting more effectively and being able to measure ad spend in a granular way has been thrilling marketers since the 90’s. In the last decade alone ad revenue for the bigger organisations providers (such as Google) has skyrocketed bringing them vast clout in an ever expanding digital world. Marketers looking to take a slice of the online pie are clearly represented by what they’re willing to spend. Content marketers for example believe that creating the right content and delivering it on the right channels will build brand engagement and drive traffic to owned channels. So why not pay for it? But…and this is a big but, measuring your ROI and measuring the success of the content you deliver are completely separate. Your content might be hugely successful but drive no conversion, no matter how many “likes”you garner. Begin your campaigns in the right way. Determine your goals and define what success looks like for your business. When you know your goals, you can measure your success. Your return on investment is always going to be unique to your business. It can vary depending on the channels you use, how you approach content creation and who your audience are. Only you can create an accurate ROI model for your business. In basic terms, ROI is your profit divided by your costs. There are a number of intangible benefits from digital campaigns that are often hard to attribute value to. Returns such as Web Traffic, Online Shares and simple impressions may all be assigned some value. You need to decide what these metrics mean to your business and if they are worth assigning value to or not. On the other hand more tangible benefits include leads generated and direct sales completed. Using data capture landing pages to gather contact information, generate calls and encourage enquiries is a very effective step in generating your ROI. These results can be accurately assigned value. We’ve spent just £204 on direct ad cost but it took your web designer 2 hours to build the landing page. It took another hour for your marketer to design the graphics and an hour for set up and another hour to monitor and run the ad. A total of 5 hours of work was done which you are paying for at £50 per hour (generous to your marketers aren’t you!) that’s an effort spend of £250. ‍It’s positive! You’ve made a profit of £2076 not to mention you reached 16,000 people with your brand. Good job! Another roadblock in your journey to an effective ROI can be the lack of resources to close the loop. Tracking your marketing investment from one channel to another can be a challenge. Your chosen promotional platform will provide analytics on who you reach but once you send them to your website you need to make sure the framework is in place to continue that journey. If you do not have analytics set up on your website, you’ve lost your data. If you have analytics but you do not set a UTM or Event tracking, you’ve lost some data. You need to make sure you have the data infrastructure in place to support your campaign activity. · Average lead conversion rate. That’s a lot of data. Setting up your analytics and your online social media advertising in the right way makes all the difference. Ready to calculate your ROI?